Since your first child was born, how many days have you wished that your children came with a manual? For me, it certainly has been more days than I can count. 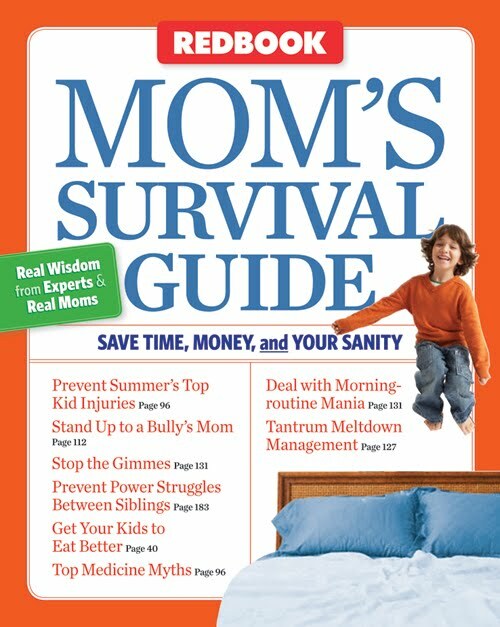 The editors of Redbook Magazine have published a book titled "Mom's Survival Guide: Save Time, Money, and Your Sanity." This book covers some of the most common issues faced by parents across its 230 pages. The great thing about this book is that you can use it for reference, rather than being required to read it from cover to cover. Some of the topics that were most helpful to me were how to deal with tantrums, sanity-savers for work-at-home moms, helping kids sleep all night, and getting your family to eat healthy. There are some topics that every parent worries about because there is only so much a parent can do to protect their children. Some of those are bullying, teaching children to be street smart, illnesses, and sport injuries. This book touches on all those. In fact, I do not think that most of these topics are restricted to mothers. The book should really be titled "Parent's Survival Guide." This book retails for $16.95 and can be found at major book retailers, such as Borders, Barnes & Noble, and Amazon.com . Thank you to Sterling Publishing for sending us a sample copy of this book free of charge to base this review upon and for providing two additional copies for our contest prizes. 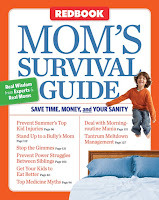 TWO lucky readers will each receive a paperback copy of "Mom's Survival Guide" from the editors of Redbook Magazine. Leave a comment telling me what problem you have faced as a parental figure that you wish there had been a guide to help you deal with the situation. You MUST do this to be eligible to win this contest. 3) For 10 extra entries, blog about this contest linking back to this post AND Mom's Survival Guide . Then come back here and leave TEN separate comments with the link to your blog post. This contest will be closed on Monday, May 31st, 2010 at 11:59pm EST. A random number drawing will be held shortly after. The winner will be announced here and will be contact via email or through their blog. If the winner does not respond within 48 hours, a new number will be drawn.